We show two important findings on the use of deep convolutional neural networks (CNN) in medical image analysis. 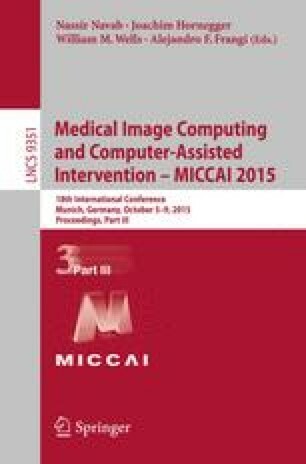 First, we show that CNN models that are pre-trained using computer vision databases (e.g., Imagenet) are useful in medical image applications, despite the significant differences in image appearance. Second, we show that multiview classification is possible without the pre-registration of the input images. Rather, we use the high-level features produced by the CNNs trained in each view separately. Focusing on the classification of mammograms using craniocaudal (CC) and mediolateral oblique (MLO) views and their respective mass and micro-calcification segmentations of the same breast, we initially train a separate CNN model for each view and each segmentation map using an Imagenet pre-trained model. Then, using the features learned from each segmentation map and unregistered views, we train a final CNN classifier that estimates the patient’s risk of developing breast cancer using the Breast Imaging-Reporting and Data System (BI-RADS) score. We test our methodology in two publicly available datasets (InBreast and DDSM), containing hundreds of cases, and show that it produces a volume under ROC surface of over 0.9 and an area under ROC curve (for a 2-class problem - benign and malignant) of over 0.9. In general, our approach shows state-of-the-art classification results and demonstrates a new comprehensive way of addressing this challenging classification problem. This work was partially supported by the Australian Research Council’s Discovery Projects funding scheme (project DP140102794). Prof. Bradley is the recipient of an Australian Research Council Future Fellowship(FT110100623).